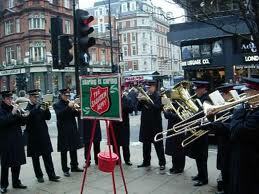 Did you know that the Salvation Army do far more than just play Christmas Carols at the train station? I owe the Salvation Army a huge debt of gratitude. When I turned up at their meeting hall; drunk, smelly and without a friend in the world, they welcomed me without hesitation and without judgement and then, when I was admitted to psychiatric hospital for a period of twelve weeks, the only person who came, completely unexpectedly, to visit me was the Captain from my local Salvation Army Cops. If you need friends, away from the world of alcoholism, but friends who understand the problems you might be facing then the Salvation Army is a good place to start. Read how they helped me here. 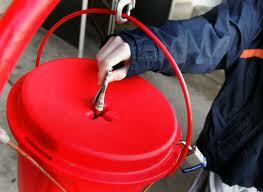 The Salvation Army will be knocking on your door soon collection for their annual fundraising event; The Big Collection. Please help them if you can or you can donate on-line here.